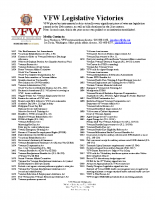 Providing help to veterans in any way possible. Always alert -- protecting and defending . . .
Banquet Room or Shelter House. to secure a specific date and time. Also, feel free to stop by anytime. 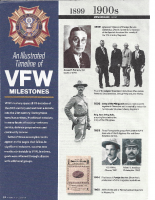 The objectives of the Veterans of Foreign Wars are fraternal, patriotic, historical and educational, to preserve and strengthen comradeship among its members, to assist worthy comrades, to perpetuate the memory and history of our dead and to assist their widows and orphans, to maintain true allegiance to the Government of the United States of America and fidelity to its Constitution and laws, to foster true patriotism, to maintain and extend the institutions of American freedom, and to preserve and defend the United States from all her enemies, whomsoever. 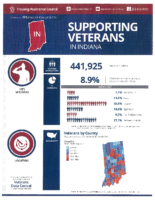 Greenwood Memorial VFW Post 5864 located in the central Indiana community of Greenwood, is a non-profit organization dedicated to U.S. military veterans, their families and our community. Our secondary mission is to support those who have sacrificed so much for this country, veterans and those currently serving in our Armed Forces and their families. We do this through community service, a commitment to national security and a strong national defense.